Hollywood’s former couple Brad Pitt and Angeline Jolie are currently struggling in a divorce but the most challenging part for them at present is to be parents to their children. The situation has become so worse that even the judge has issued a warning for the couple. Reports say that Brad spends major time in England where Angelina Jolie and the children live so that brad can see all his six children. In the divorce case, the judge has set out a schedule for Brad to visit his children in London beginning in mid-June for ten hours a day. The number of visits has increased last month to 4 consecutive days at a time. More reports have revealed that Brand and Angelina do not have any interaction with each other and that the messages are conveyed only through the nannies and the assistants. So far it is quite predictable and clear that there have been issues over Brad interacting with the children. 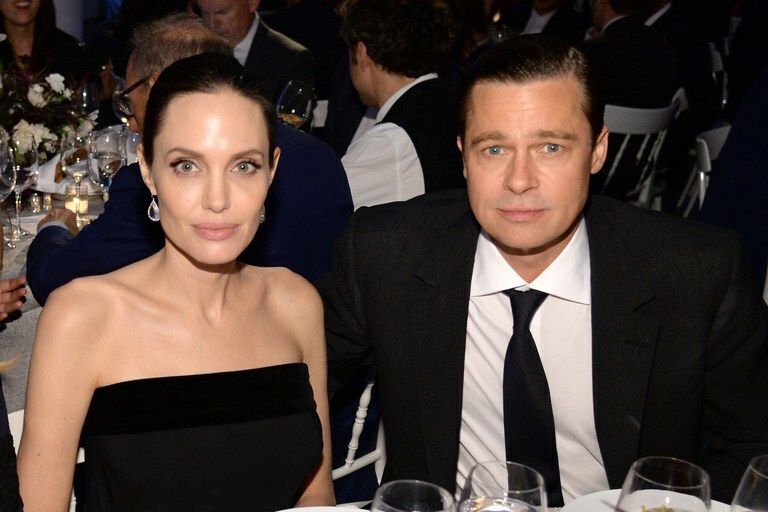 The judge in the divorce case between the Hollywood couple has already issued an order saying that Angelina had tried to restrict Brad’s access and that the judge believed that it was harmful for the children. It has also been said by the judge that Brad had the right to call the kids whenever he wanted and that Angelina cannot monitor the contacts. There were also reports about Angelina’s claims that Brad has provided minimal child support but the actor then back fired with legal documents saying he had paid her $1.3 million in child support since they split two years back. Brad Pitt also added that he loaned Angelina $8 million to buy a house. The American actor and Angelina got married on August 23, 2014 in a private ceremony in Chateau Miraval, France. On September 19, 2016 Jolie filed for a divorce from Pitt citing irreconcilable differences and since then their disturbed relationship has been in news.